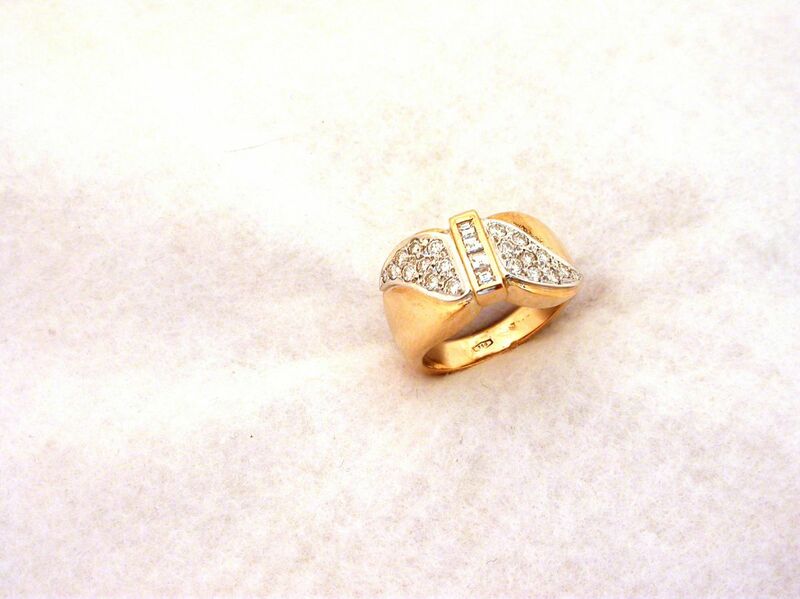 18 carat gold (kt) yellow and white gold: 9.60 grams (gr). 20 white diamonds, brilliant cut: carat 0.50 (ct) and 4 diamonds carrè cut carat 0.16 (ct) (H color VVs clarity). Size: 7 inches (Usa) | 14 mm (Italy). 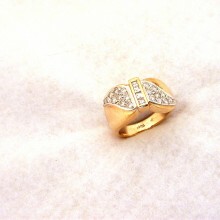 price: 980.00 ( iva included) (gold 36 X gr).